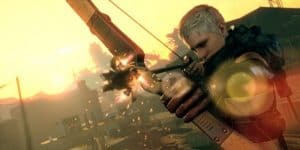 Metal Gear Survive Delayed Until 2018 | Nerd Much? According to Konami representatives at the game’s E3 demo booth, Metal Gear Survive is delayed until 2018, having originally been slotting for 2017. The Metal Gear spin-off title is still coming to the PS4, Xbox One, and PC. The representatives cited that the game needed a bit more polish before it could be released. After the rather terrible break-up between Metal Gear series creator Hideo Kojima and Konami, the publishing company announced Metal Gear Survive in 2016. It is the first game in the series that Kojima had absolutely no part in making, thus a little controversy has surrounded it. Which is not unjustified, as Survive has little to do with the main series. The game is focused on being a survival action game with zombies, quoted as being an alternate timeline set after Metal Gear Solid 5: Ground Zeroes; whereas previous Metal Gear games spun an elaborate tale of conspiracy, technology getting out of hand, and conflicting philosophies on how the world should operate. Nonetheless, Survive is to have a “dense single-player mode” according to Konami. Players will be going on an adventure into the unknown, a place that will apparently have co-op multiplayer as well. You can use the usual methods to get through your missions: stealth or running forward blindly, weapons ablaze. It has not been made clear if the gameplay is as dynamic as the other Metal Gear games, but more information will likely come later in the year.